This is a hardware True Random Number Generator that attaches via USB. The Linux Kernel, starting with version 4.1, includes source for this driver. It should be built by default in your distribution. If your using Linux + KVM to host other Linux instances, read the VirtualMachine page to see how you can configure the guests to share the host entropy source. 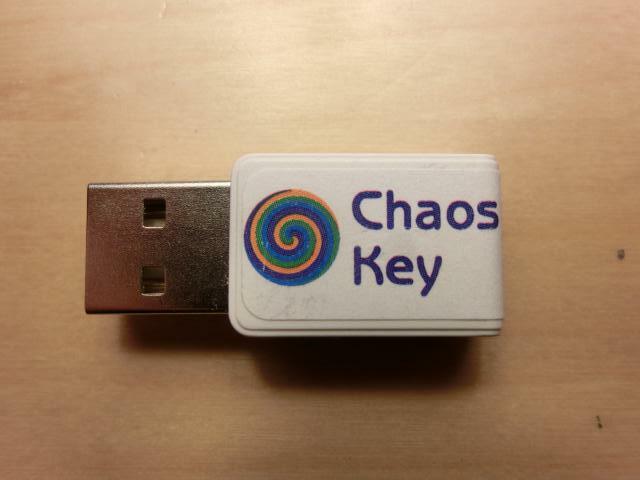 1.0 is the first production version of ChaosKey, now available for sale in single units and packs of 10 and 25 units at Garbee and Garbee and vikings. To reflash the system firmware on ChaosKey, you first need to get the device into 'bootloader mode'. To do this, you must power-up ChaosKey with a jumper between GND and the Boot Loader Select pin. Connect a wire between the two red holes in the debug connector and then plug it in to your computer. 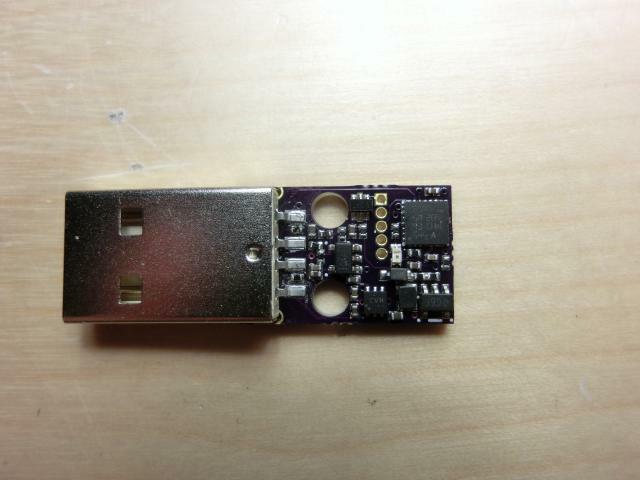 It will appear as a USB modem device called AltosFlash with USB ID fffe:000a. This one uses the better noise source coupled with an op amp that provides 2MHz of bandwidth at a gain of 100, offering linear frequency response at a million samples per second. 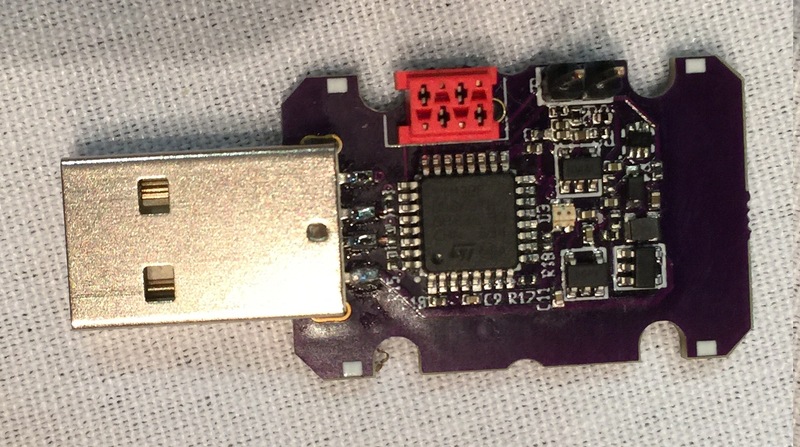 Version 0.3 uses the same hardware design as version 1.0, except that it uses a QFP package version of the processor instead of the QFN used in 1.0, and hence needs a larger circuit board. This version uses a better noise source, but the single transistor amp designed to get from the 20mV noise source to a digital value doesn't provide enough bandwidth, so the resulting signal seen by the CPU has poor frequency response.